NEW: I am so excited to introduce my sewing page and new Etsy store Plum Blossom Handmade. I love to hear from you! 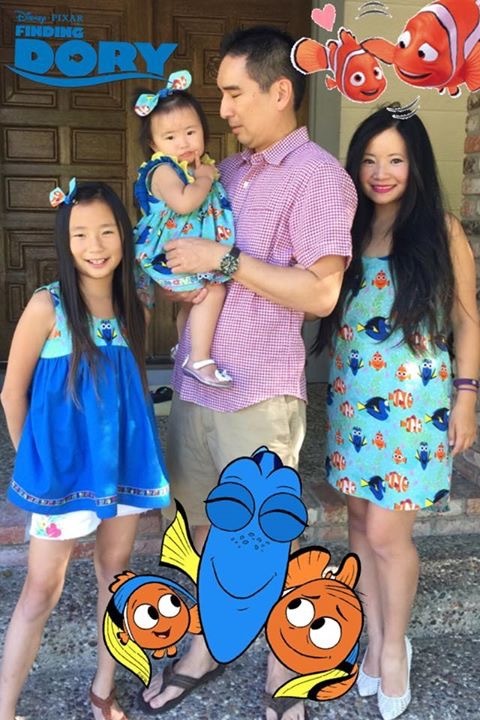 handmade Finding Dory outfits for the movie. I created this website to share resources for learning and teaching Chinese, and as a way for me to document some of my teaching. Now this website has expanded to become a useful tool for my teaching now. Children have different learning styles, and one size DOESN’T fit all. It can be difficult to remember this when we are teaching a class or even with our own children. We can get frustrated when a child is not progressing as fast as another. 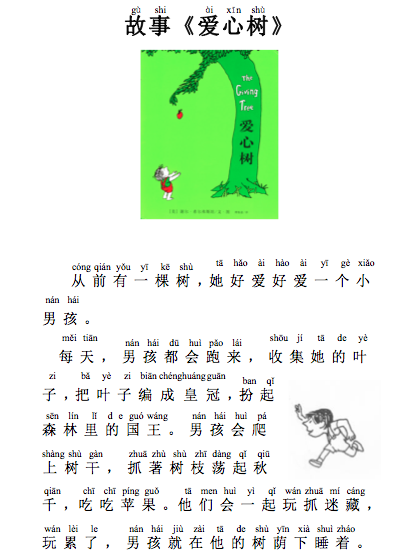 I have created lesson plans, games, small books, songs, short reader’s theater plays, and other non-traditional resources to help children learn Mandarin in different ways. I also like to incorporate technology such as Kahoot or Thinglink into my lessons. It’s important to change your activities when teaching a foreign langauge! Please check out some of the pages from my website for free resources. 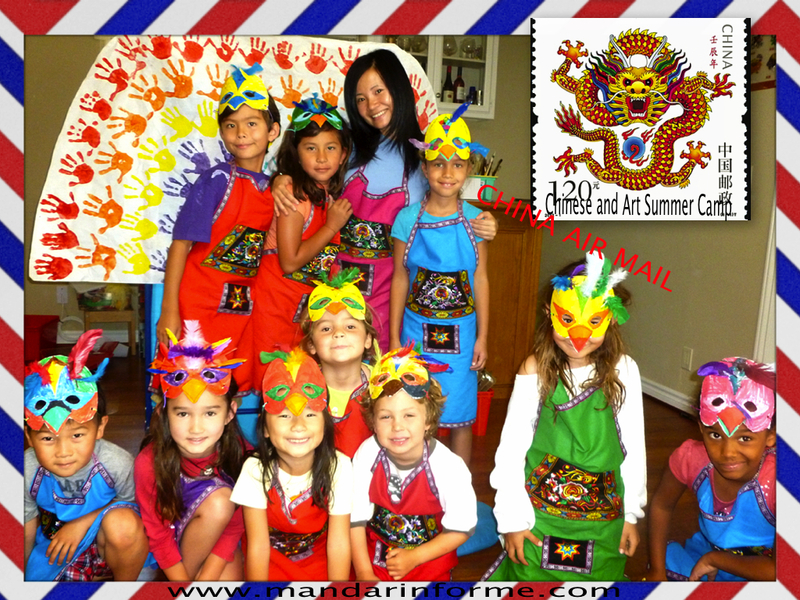 Contact me at mary@mandarinforme.com if you have questions about Chinese group or individual classes for children. Practice reading Chinese with fun stories and nursery rhymes. I made videos of popular picture books in Mandarin. Some books are in dual language. Quick one minute videos to make Chinese grammar easy to learn! Learn Chinese through music. All songs come with lyrics PDF. Each lesson has dual language flashcards, interactive games, and quizzes. I have compiled some of the best FREE Chinese resource websites from countries around the world. Check out some projects/assignments from my Chinese class. Students had fun while learning about China, its language, its history and its culture. Children acquire new vocabulary, cultural knowledge, write and read Chinese characters through music, acting, art, and cooking. Subscribe for FREE to get access to a private page. Password will be emailed to you. Learn common everyday classroom commands and essential phrases. Check out what’s new on www.mandarinforme.com! Below is a video of my 6th grade students singing 月亮代表我的心, The Moon Represents My Heart, with sign language. I am playing the piano. They learned to sing this song after taking Mandarin for just 2 months. Children are sponges soaking up knowledge! This is a play that I adapted from a very well-known Chinese kids story called 小蝌蚪找妈妈, Little Tadpole Looking For Their Mother. This is a much beloved Chinese children story, and it’s a great way learn Mandarin Chinese. My Chinese summer campers in Manhattan Beach learned and performed this in only 1 week. Read what people are saying about my Chinese classes and camps! Erin wrote: My son looks forward to your class every week and loves to paint the most with Chinese brushes. Thank you, Mrs. Chen, for bringing your knowledge, art and creativity to our children! It is so valuable for them all. You are an excellent teacher. I hope you will continue this class next school year. Helen wrote: very very impressive!!! Jessica Miro wrote:Thank you Mary, Julien is LOVING your class. Thank you for the wonderful photos and the combination of Chinese art and language! Colette wrote: Thanks so much for a great summer camp. Simon had so much fun. We really enjoyed seeing how proud Simon was of his artwork after just the first art activity. And he was really inspired to practice the Chinese on his own – at bedtime we could hear him practicing before falling asleep. Shaunyi wrote: Summer LOVED mandarin camp! She had so much fun, brought home lots of beautiful art, and loved singing the Chinese songs you taught them. You really make learning so fun for them! 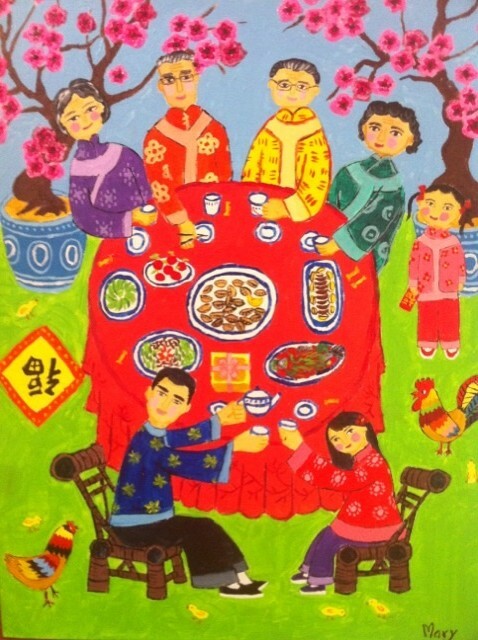 This is my depiction of my family having a feast 全家福. Please contact me with comments, questions, requests, and suggestions. Thank you. This website is a labor of Love! Help make it better by completing a quick poll. © Mandarin For Me 2015. PLEASE DO NOT USE ANY IMAGES OR CONTENT FROM THIS SITE WITHOUT MY PERMISSION. Thank you for sharing your wonderful website with me. It’s great to meet people all over the world that love Mandarin. thank you very much for your comment. i really love mandarin very much.i am also very curious to learn cantonese. they are similar languages.the later is the mother of the former.i am happy to meet people like me who are interested in chinese..
My kids had sooo much fun at your summer camp! Thank you for making Mandarin so enjoyable for them. You truly are a special & talented teacher, who obviously cares so much about her students. I would love it if you could have a class during the school year. We won’t be able to wait until next summer!!! Thank you so much Vivian. Your kids are such a pleasure to have and I feel so blessed to have watched them grow. I would love to do a class with them! You are truly a great teacher. I have trouble accessing your PDF even though I have subscribed to your blog. Any suggestions? Hi Syd, please check your email I sent password to you there. Thanks! Hi Mary this is Bora from Turkey, could u please send me a pasword for your lesson resources, thank you. Hi Bora, Wow! Thank you for visiting me from Turkey. I manually sent you an email with password please let me know if you get it. Take care! Am a student love all your lessons how is the best way to remember the characters please and need to start making sentences please. Hi Mary, I really enjoy your blog. I have subscribed to it but could not get the password for your downloadable resources. Can you please send it to me? Thank you so much! I’m visiting your website for the first time today and I’m loving it. How do I start subscribing? Also, any advise where I can download free printable paper for Chinese writing? I think I’d like the one with just a + in the middle of each box. Hi Pam, thank you for visiting! You can subscribe for free on the left column on http://www.mandarinforme.com. It’s under Recent Posts and there is a blank box. 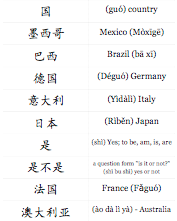 Also check out http://www.uvm.edu/~chinese/characte.htm this site has free character writing paper and also resource books for download. Hi Mary, I love your site. I have subscribed to your website but have not received the new password since it was changed. Can you please send it to me ? thank you ! Wojiao Pieter xinxilan how come dont you send work out like before to our emails so sorry to ask that really enjoy your postings. Hey Mary! I love love love all the resources you have up in your site! However, I subscribed but haven’t recieved the password yet… do you think you could send it over? Hello Mary! Thank you for informative website. I am an English teacher in a Mandarin Dual Language Program and my twin daughters just started the program this year in Kindergarten. I subscribed but haven’t received a password to access some of your resources. Could you please send it over to me? Welcome Tina! Thank you for visiting my website. I sent it out again please let me know if you don’t get it. 🙂 Thanks! Thanks for your resources! I was hoping if you can send the password to my email for your lessons? Thank you for visiting. Please let me know if you don’t get an email with password. Have a great day! Hi Candy, I am sorry about the delay I have sent it via email to you please let me know if you have any trouble. Thank you so much for visiting my website. Good luck on teaching your boy Chinese it is not easy! Please let me know if you need any help. Have a great day! Dear Mary, I really enjoy your blog. I have subscribed to it but could not get the password for your downloadable resources. Can you please send it to me? Thank you so much and have a nice day. Hi I sent you an email with subscriber code right now please let me know if you do not receive it. Thank you! Hi Mary, I have subscribed your website. Could you please send me the password for resource? It’s very nice of you to share. Thanks! Hi Mary, I have subscribed your website. Its wonderful to be able to learn from you. could you email me the password for resource? Thanks ! Hi Mary, Your website is very fantastic and I like it.. I’ve subscribed and I would like get a password to be able to download the resources from you. Many thanks. I’ve subscribed and would like to receive a password. Thanks! I received it but whenever I enter it. The file didn’t open, there’e always an error occurred. What do I have to do? Hi, I just subscribed and would like to have a password. Please advice further action. Thanks! I have receive any password yet. Please advice. Thanks! Thank you for visiting my web page. Please let me know if you still have not received the password. Hi Mary, I stumbled upon your website–what a GREAT resource! I have subscribed to your blogs, but don’t know where to get the password for your resources. When you have a free moment, please send the password? Thank you so much for this site! I have subscribed to mandarinforme website but unable to access resources available for subscribers as it is requesting for password. can you please help me access. Hi Mary, your blog is fantastic! I’m a stay at home mum and I would love to teach my kids mandarin which happens to be my secondary language. I’ve just subscribed to your blog but I didn’t get any password. Can I have the password to your downloadable resources please? Thanks in advance! Thank you for visiting my website Ally! I have sent the password please let me know if you don’t get it. Hi Mary, I am a stay at home mom with a six year old and I just found out about your website and it’s a very good one. I subscribed on the left column and was confirmed but there was no password given to access the downloadable resources. Can you please advise. Thanks in advance. Thank you for visiting my website! 🙂 I sent it via email please let me know if you don’t get the password. I subscribed your website two years ago, I love it so much, but I could not remember the password to access the downloadable resources, could you please sent me password again.Thanks in advance.